Your home is your castle, and it protects a precious treasure: your loved ones. When you trust Slomin’s for home services in Brooklyn, NY, you gain the benefit of our 90 years of experience keeping families, like yours, comfortable and safe. With services including home automation, home security, and heating oil delivery, we have you covered. We offer a comprehensive range of home protection products and services. With our advanced Slomin’s Shield® security system, you can monitor and control your home, day and night, through our user-friendly control panel, a mobile device, or a computer. Your home is safeguarded 24/7/365 by our central monitoring station, which is ready to respond to an emergency at any hour. 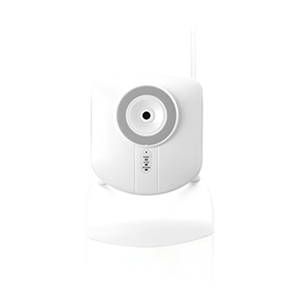 Enhance your existing wireless security system with our ZWave® home automation devices. The possibilities for customizing your system are endless, and you can control your entire home through the Slomin’s Shield home automation system — including locking doors, changing the temperature, turning off lights, and more — on-the-go or from your bed using your smartphone. Best of all, the Slomin’s Shield system combines home security and home automation, so just add on ZWave devices to enjoy home automation functions. When you need assistance with your home’s gas heating system, turn to Slomin’s. We offer fast, professional service of gas burners. With our gas service contracts, you’ll avoid surprise, expensive repairs and gain peace of mind that your system will perform at its best. We also offer affordable heating oil, delivered to your home automatically so that you won’t have to worry about calling when you’re low. By locking in a fixed price, you avoid sudden price increases that occur as markets fluctuate. At Slomin’s, our mission is to become the trusted provider of home automation, home security, and heating oil services for you. To find out how we can help keep your home comfortable, safe, and running at peak efficiency, call 1-800-ALARM-ME to speak with one of our representatives today!